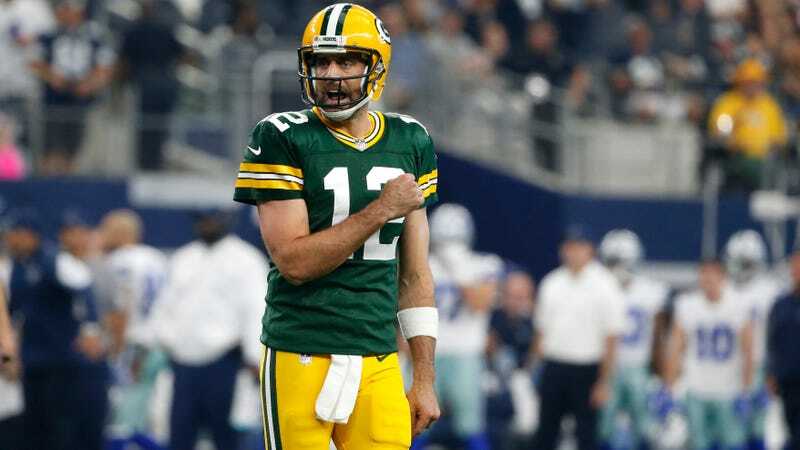 A pair of missed extra points from Mason Crosby looked like they could be the difference in a Green Bay loss today, but instead, they simply set the stage for yet another signature Aaron Rodgers comeback at Cowboys Stadium, and Green Bay won 35-31. Crosby missed two extra points in the first half, and a later two-point attempt to compensate also failed. When Dak Prescott gave Dallas a late 31-28 lead with 1:13 to go, Crosby seemed a likely goat. But 1:13 was more than enough time left to get Aaron Rodgers the ball for the win. 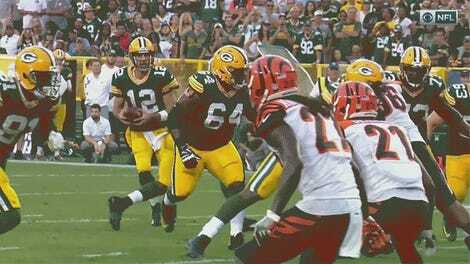 It took him just one minute and two seconds to drive down the field, sealing victory with a 12-yard pass to Davante Adams. The drive was just vintage, untouchable Rodgers, with the Packers legend making breathtaking plays both on the ground and through the air. Other than the touchdown, the key play came on a third-and-eight on the Dallas 30, when Rodgers scrambled for 18 yards past helpless, diving defensive linemen in a dizzying display of ability. This is the second time in less than a year that Rodgers has pulled off something unbelievable against the Cowboys—the other time being one of the plays of the season, his 35-yard pass to Jared Cook that set up a playoff-game-winning field goal.